He started a production house Phantom Films along with his friends and he has been producing many movies. One such film is UdtaPunjab which is said to be a realistic thriller. Talented youngster Abhishek Chaubey directed the movie which has been widely criticized all over right from the first day. The movie has been discussing about the impact of drugs in the society and about the youth who have been spoiled because of the drugs. Based in Punjab, Udta Punjab explains about the impact of drugs on the youth in the state. Shahid Kapoor essayed the lead role as Tommy Singh in the movie and he played a pop singer who is a role model addicted to drugs. Kareena Kapoor Khan and Diljit Dosanjh essayed crucial roles in the movie and Alia Bhatt will be seen in a defamed character. 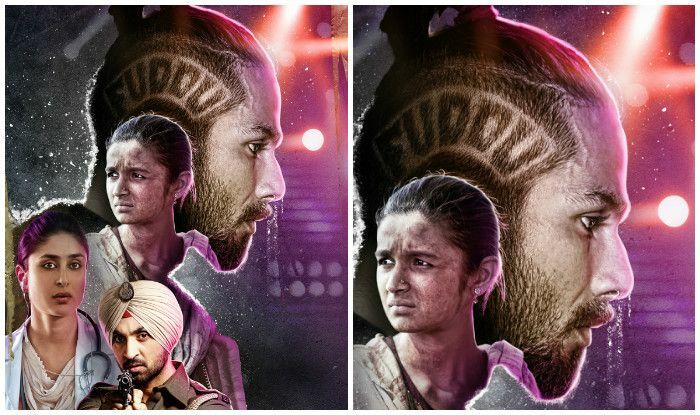 Udta Punjab has been shot completely in and around Punjab along with New Delhi. Made on a budget of Rs 35 crores, the flick faced several issues with the censor board as they ordered 89 cuts. However the makers challenged the film and slammed the censor board members. Then came the twist as the entire movie has been leaked on the internet. Between many challenges, the film released all over on June 17th all over the world. The talkie received stupendous openings all over thanks for the censor board for the free publicity. The movie collected Rs 34 crores in its opening weekend however the movie lost pace during the weekdays. Too many realistic episodes and the harsh climax killed the film’s flavour. The movie made Rs 56.75 crores in 13 days of its box-office run all over the country. The makers have not been happy with the collections and they have been disappointed with the mixed response. Phantom Films along with Balaji Motion Pictures produced Udta Punjab. The movie is said to be the fifth highest opener in the country this year.